In this double record, Crónica has reissued the first and the third albums of Ran Slavin specifically for all those fans who wanted to get an insight into Ran’s early works. This is a very interesting release, since I always wanted to know where Ran has started, to trace his journey to the later works. 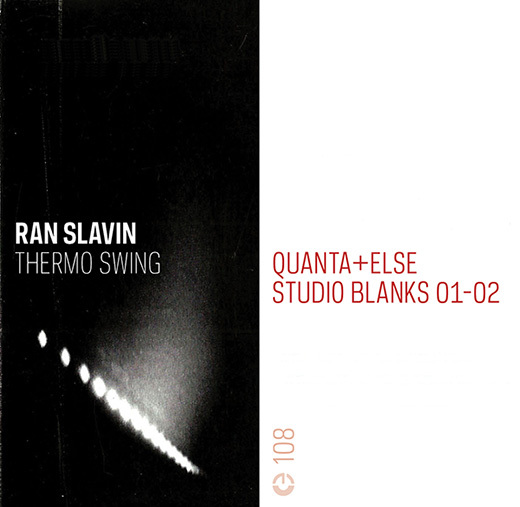 Thermo Swing – is a set of frank and direct experiments with jazz. I am very sympathetic to the easy flowing and dynamic structures of futuristic jazz created by Slavin in this record. Ran uses a number of music instruments, producing unique sound solutions. Just listen to such tracks as Intro, Piano Loop Alien and Straight Cycle – which will get your interest immediately and the next thing you will want to know is how these tracks fit in the body of the album Thermo Swing. I really want to point out a dub track, called Dus Dub, which is built using echo, delay and reverberation effects. You can listen to this nightlife soundtrack forever. This entry was posted in Reviews and tagged 108, Ran Slavin. Bookmark the permalink. Comments are closed, but you can leave a trackback: Trackback URL.